While social media companies like Twitter and Facebook are under fire for their role in aiding and abetting propaganda during the 2016 election, a television broadcast company – Sinclair Broadcast Group – and its local affiliates are getting an unwarranted pass. And that could have a profound impact on public understanding and opinion. According to the Pew Research Center, more American adults report getting their news from television than anywhere else, including social media. Sinclair, the owner of Rochester's WHAM 13, is the largest local TV operator in the US and owns 193 local stations in 89 markets. A proposed merger with Tribune Media would bring Sinclair's reach to 72 percent of US households and 39 of the top 50 media markets, including Los Angeles, Chicago, and New York City. Not only does the merger prime concerns that consumers will be exposed to less media variety, but it's particularly disconcerting because for years Sinclair has regularly forced its station affiliates to run conservatively biased news and commentaries within local newscasts. Rochester's top-rated WHAM Channel 13 is no exception. The presence of long-serving, respected anchors like Don Alhart and Ginny Ryan masks a significant, corporate-mandated editorial shift to the right. WHAM 13 became a Sinclair affiliate in 2012 and immediately began airing Sinclair's must-run content. In interviews with over half a dozen current and former journalists who have worked or currently work at each of Rochester's local TV broadcast stations, we heard expressions of concern, and sometimes anger, that Sinclair's content is misleading audiences in Rochester and harming the practice of journalism in general by pursuing partisanship over objectivity. One reporter at a non-Sinclair station said he would refuse a position at a Sinclair station, even if the job was more prominent. "Thanks, but no thanks," he said. "It's your integrity, and you have to be able to sleep at night." Chuck Samuels, the general manager at WHAM, agrees that local Sinclair producers don't have a say over every story that runs in local newscasts. But he is adamant that Sinclair ownership does not influence locally produced news. "Never once has any company told us how to cover or spin local news," he says. "If it comes to it, I may not be here any longer. But I don't see that happening." WHAM 13 General Manager Chuck Samuels: ""Never once has any company told us how to cover or spin local news." Most critiques of Sinclair have surfaced in national media, perhaps because local Sinclair employees don't want to bad-mouth their employer and colleagues at other stations don't want to malign their Sinclair colleagues. Perhaps the most prominent critique nationally and, inadvertently, locally in Rochester, came during a July 2 segment on HBO's "This Week Tonight with John Oliver." The piece featured a mash-up of different anchors across the country reading the same introduction to a news story about Michael Flynn, President Trump's former national security advisor. In the segment, there is a 2-second cameo of WHAM TV anchor Norma Holland reading from what Oliver argues is a conservatively biased script written by Sinclair. The intro and the subsequent segment, also produced by Sinclair, frames Flynn as the target of a vindictive FBI. Chuck Samuels says the clip of Holland was unfortunate. It was "taken out of context," he says, and purposely "edited to look like commentary." It's true that many media consumers find it hard to distinguish between news and commentary. Audiences look for clues, but often there aren't any. You might expect a comedian like Oliver or even Fox News and MSNBC to provide editorial commentary, but you might not expect to find national commentary in the middle of a local newscast. 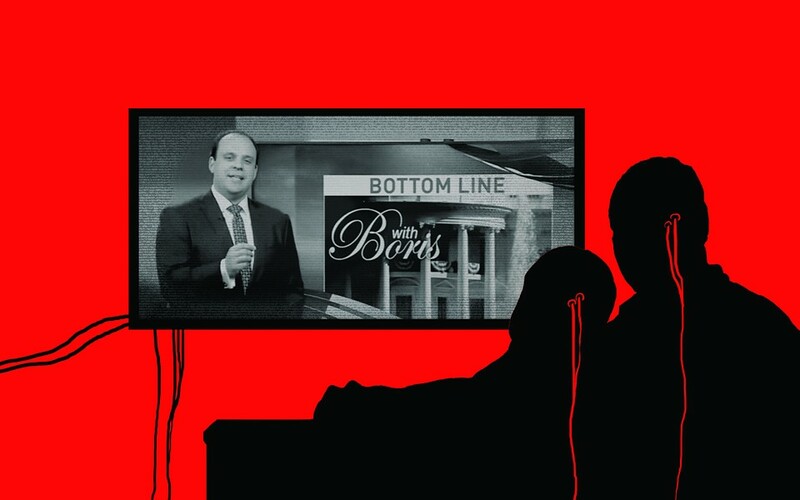 Sinclair, however, is challenging that paradigm by regularly requiring local affiliates, including WHAM, to run two different national commentaries: "Behind the Headlines" with Mark Hyman and "Bottom Line with Boris" with Boris Epshteyn. Hyman has been at Sinclair for 20 years and has been making commentaries since 2001. Epshteyn was a Trump campaign advisor. Both segments are labeled commentary, but they appear in local newscasts mixed in with locally produced news, and Hyman and Epshteyn position themselves as unbiased news sources. For example, in an October 5 commentary, Hyman critiques the Pulitzer Prize-winning website PolitiFact, a fact-checking organization run by the Tampa Bay Times. "No one's fact-checking the fact-checkers," says Hyman, "except us." PolitiFact had labeled "mostly false" a claim by Texas Republican Senator Ted Cruz that two-thirds of the 2013 Disaster Relief Appropriations Act was filled with pork and had "nothing to do with" superstorm Sandy. Hyman argues that PolitiFact's reporting is wrong, and he directs people to his website to find links to two more commentaries where he describes PolitiFact as "fabricating info and presenting false claims." In an article titled, "Sinclair is targeting PolitiFact. But you need to know the facts," PolitiFact responded, disputing Hyman's evidence. "Our reporting is accurate, and we list all of our sources," it said. Epshteyn's commentaries are also biased. They often echo President Trump's talking points – for example, defending the president's response to Hurricane Maria in Puerto Rico and championing the president's new travel restrictions. WHAM's Samuels says stations can choose when to run Sinclair-mandated content within a certain time frame directed by corporate, which means stations can run them during timeslots with low viewership. And, he says: "It is less than 2 percent of what we do on a daily basis." He also noted that editorials inserted into local newscasts are not unique to Sinclair, and that non-Sinclair stations in other markets run editorials. And, he says, he hasn't received many complaints from viewers. "If they don't like the commentaries, they can turn them off," Samuels says. "But even if you hate them, you should listen." Viewers, he says, should be exposed to opinions other than their own. "The company is offering a different viewpoint," he says. Sinclair requires local stations to air Mark Hyman’ “Behind the Headlines” – a conservative commentary on national topics – on local newscasts. The "different viewpoints" don't show up only in Sinclair's must-run commentaries. They're also in must-run news stories produced by Sinclair corporate or other Sinclair affiliates. One regular Sinclair must-run feature criticized by John Oliver and others concerns the "Terrorism Alert Desk" based in Washington, DC. Like the Hyman and Epshteyn commentaries, these segments have low production values and feature a single reporter on a non-descript set next to a red screen with the segment's title, similar to the style of breaking-news updates on other channels. The segment is a digest of terrorism-related news from around the world. ISIS is featured prominently in most segments, many of which are available on WHAM's website. An October 6 alert featured attacks in Canada and France and visuals of Arabic lettering and police lights. A supplemental map, "Tracking Terror," is also available on WHAM's website. You can hover your mouse over pins on the map to read about individual terrorist activities, such as the December 2015 attack on a holiday party in San Bernardino, California, or the December 2015 arrest of a man planning to attack a restaurant in Rochester. Notably absent from the list are domestic terrorism incidents such as the mass shooting in Las Vegas and the "Unite the Right" rally in Charlottesville, Virginia, during which a woman protesting the white nationalists' march was killed. All of the pins on US locations relate to incidents where people reportedly had ties to ISIS. Another Terrorism Alert Desk segment mentioned that French towns were ignoring a court decision overturning laws banning women from wearing "burkinis" (full-coverage bathing suits favored by some Muslim women) – news that had nothing to do with terrorism but that promotes the stereotype that Muslims are terrorists. Samuels, however, isn't concerned about the Alert Desk segments and dismisses suggestions that it feeds a Republican or conservative agenda. "I don't get why this would be considered a conservative viewpoint," he says. "Oftentimes there is interesting info in it." Most other local news stations have the option of using content from affiliates if they wish, much as print publications can choose what content to use from the Associated Press, if they are subscribers. And television reporters interviewed for this article said that while other stations do get mandated content, it's only a few times a year, usually when corporate has spent a lot of money on a segment. Often these segments are about health or sports and are not of a political nature, they said. What sets Sinclair apart is that while its local stations can also draw content for their local newscasts from their other network affiliates, Sinclair corporate regularly chooses some of the content for them and mandates its airing. One local reporter said she can easily tell when WHAM is airing a must-run. She even notes changes in the demeanor of the local anchors introducing the segments. Another tell of a must-run is that the content is national or international, not local. Former WHAM 13 reporter Rachel Barnhart objected to a Sinclair must-run but was told it had to run anyway. "It is really concerning," says Rachel Barnhart. "The product Sinclair puts out doesn't meet journalistic standards. It isn't fair, and isn't good quality." Not all local reporters share Samuels' belief that must-run news stories are helpful and informative. Barnhart tells the following story. In March 2013, she was set to anchor a Sunday evening local news show. Scheduled during the broadcast was a mandated must-run about a divorced single mother of two, which originated at Sinclair's Harrisburg, Pennsylvania, affiliate, and was distributed to other Sinclair stations. The segment opens with the text "Waste Watch" on the screen as reporter Chris Papst sets up the scene. "Eighty-thousand dollars is a lot of money," he begins, "and that's why this story has a lot of people outraged." Next, above the subtitle, "Living the Good Life Off Government Handouts," we are introduced to a mother enrolled in nursing school trying to transition off welfare benefits. Moving away from the woman on the screen, Papst explains that he researched all the possible entitlements a single mother of two could receive. This includes benefits for day care, weatherization projects, a cell phone and a land line, legal advice, school grants, and tax credits. The total is over $80,000. But the numbers are completely divorced from the woman in the segment. The audience doesn't know which of those benefits she uses – if any. "It was a stereotypical welfare-queen story," Barnhart says. Papst chose to personify government waste by focusing on a woman and reinforcing a debunked stereotype that blames character traits for poverty. One of the sources Papst uses to discuss welfare reform is Matt Brouillette, the then president and CEO of the Commonwealth Foundation, a right-wing think tank. During the broadcast, Papst introduces Brouillette as representing a "government watchdog group that emphasizes a safety net and not a safety hammock." Barnhart says she complained to WHAM management, and she wasn't satisfied with their response. "They thought it was fine," she says. She found out later that she was not the first anchor to complain about the segment. Unlike Barnhart, Bill O'Reilly was impressed by the piece and later featured the report and Papst on his Fox News Channel show during a segment entitled, "The Nanny State on Steroids." Management treated this as evidence the segment was successful, Barnhart says. It's popular to taunt the media as being liberal. In fact, however, some research shows that the mainstream broadcast media are becoming more conservative in general. The influence of Sinclair is just a new, brazen chapter. In his book, "The Conservative Resurgence and the Press: The Media's Role in the Rise of the Right," James McPherson, a professor emeritus in communication studies at Whitworth University in Spokane, Washington, argues that media, and radio and cable news in particular, have been trending conservative since the 1960's. McPherson's book was published in 2008, but recent research reaches similar conclusions. And McPherson says he is less optimistic today that journalists can reverse the trend and return to more issues-based and reform-minded reporting than he was when he wrote the book. "Sinclair is really, really smart," he said. "And that isn't necessarily good for the rest of us." In his book, McPherson says broadcast media favors short sound bites over complex storytelling and is therefore easier to pare down to "values" – often a rallying cry for conservatives. Other research demonstrates how broadcast media's overreliance on sensational topics like crime and car crashes leads to a more pessimistic view of the world and causes frequent television viewers to overstate the need for public safety and order, another characteristic of the conservative platform. Fox News is hugely successful in bringing a conservative agenda to market, producing news that feeds and sustains ratings. Conservative viewers like Fox News because of its conservative content. In response, McPherson says in his book, some of the other news networks, and CNN in particular, adopted Fox strategies, including adding more punditry. In addition, the conservative movement has proved adept at marketing its own content through the news media. For example, in 2004 the Swift Boat Veterans for Truth peddled a documentary questioning presidential candidate John Kerry's service in Vietnam to Sinclair which reportedly intended to require it as a "must run" at all its affiliates. Sinclair denied this was the plan. However, Jon Leiberman, a Sinclair reporter, spoke out against the airing and was fired. "They were going to have the news department take an active role in framing this documentary as a news item," Leiberman told CNN in 2004. In the end, Sinclair did not end up running the entire documentary, but it did show excerpts in a special news program. Indeed one of the real dangers of Sinclair, McPherson says, stems from the fact that people are more likely to trust local news than national news. When people tune into Fox News, he says, they expect the content to be conservative. When people watch local network news, however they are not expecting a slant. So by having conservative content on a trusted local network, McPherson says, Sinclair is exposing a broader audience to a conservative viewpoint using the "sheen of respectability" of a familiar news anchor. But, he says, the news may not meet basic journalistic standards of fairness, objectivity, and accuracy. Boris Epshteyn’s conservative commentaries are mandated segments on local newscasts of WHAM 13 and other Sinclair stations. What can viewers do if they don't like what's happening? Reporters interviewed for this story struggled to articulate what action they could take to get Sinclair to change. Several said they wished senior WHAM employees had the courage to speak out. Their jobs are likely more secure than those of new reporters, who are paid less and might hope that Sinclair would eventually move them to a larger market. "It's easy to say 'walk away,' but you can't just walk away if you have a family," one reporter said. "These jobs aren't easy to come by." And one source noted that many WHAM reporters didn't choose to work for Sinclair; Sinclair bought the place where they worked. Derek Dalton, the vice president and general manager of WHEC News 10, stressed his own station's commitment to local news. But he also noted that it has a different business model than WHAM. "We are family-owned business, Hubbard Broadcasting Inc.," he said in an e-mail. 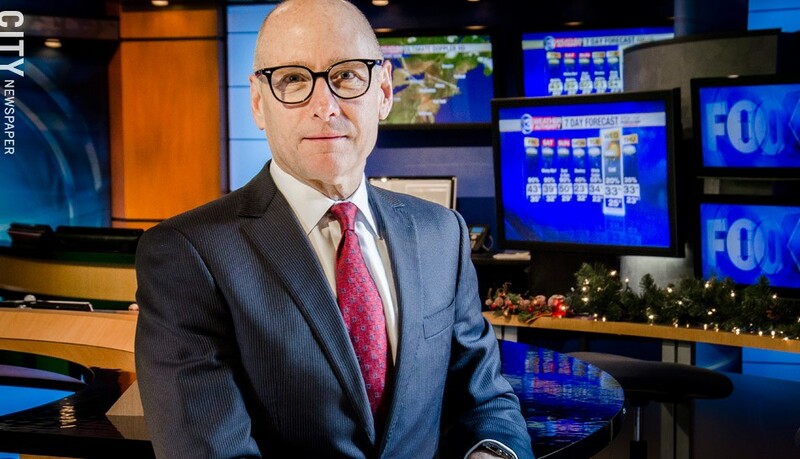 "We approach our news and weather coverage with no agenda other than serving the needs of our LOCAL Rochester community. It is our position to give fair, balanced, and complete news... our editorial decisions are all made locally." William Snyder, a four-time Pulitzer Prize winning photojournalist and professor at RIT, said the John Oliver segment educated him about Sinclair. If he were invited to appear on a WHAM show, as he was earlier this year to talk about an exhibit of his photographs of The Who, he said, he would refuse to go out of protest. 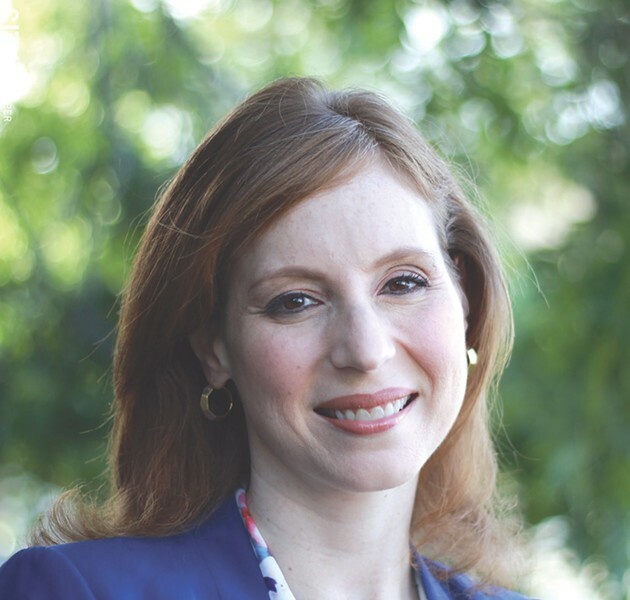 "People are powerless unless they boycott, and that would hurt others," Rachel Barnhart said, similarly. The sources, including Samuels, also stressed the need for audiences to seek out news from different news organizations. In reality, however, consuming more media is a tall order for viewers who generally rely on journalists' expertise and time to curate what is important news for them. Another option is to teach more media literacy in schools. This year the Washington state legislature passed legislation requiring schools to create a media-literacy plan. Whitworth University's James McPherson is helping develop these plans. He is also on the board of directors for a non-profit media-monitoring organization, Northwest Alliance for Responsible Media. Although reporters we spoke with were unable or reluctant to talk on the record for this story, most said they're eager for the public to learn more about Sinclair and its ambitions. It isn't clear whether the lack of open discussion about Sinclair in Rochester is due to public ignorance, lack of leadership, or the success of local stations in framing the conversation about local news coverage, taking attention away from complicated questions about media ownership. Whatever the reasons, Samuels isn't worried. "We aren't Number 1 for nothing," he says. "When we lose the trust of the community is when we'll no longer be Number 1."